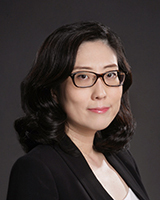 Prof. Su-In Lee is an Associate Professor in the Paul G. Allen School of Computer Science & Engineering and the Department of Genome Sciences in the School of Medicine at the University of Washington. She completed her Ph.D. in 2009 at Stanford University working with Prof. Daphne Koller in the Stanford Artificial Intelligence Laboratory. She also worked with Prof. Serafim Batzoglou and Prof. Andrew Ng. Before joining the UW in 2010, she was a visiting professor in the Lane Center for Computational Biology at Carnegie Mellon University. She has major research grants from the American Cancer Society, the National Institutes of Health (NIH), and the National Science Foundation (NSF).